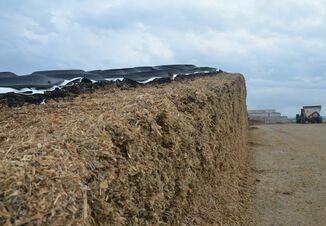 While alfalfa is typically seen as the queen of dairy forages with its high protein and good digestibility, the crop is subject to winterkill after three or four seasons. In-season replanting of alfalfa in winterkilled areas of fields sometimes works, but autotoxicity usually limits growth of new alfalfa seedlings. 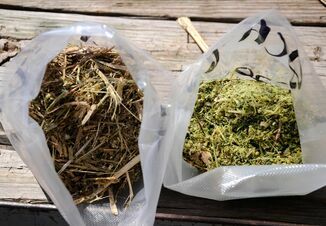 “It’s best to rotate to a silage or small grain forage crop,” says M. Scott Wells, an Extension forage agronomist with the University of Minnesota. Wells and his colleagues have studied seven forage alternatives for terminated alfalfa as well as mixtures of annual ryegrass and red clover. 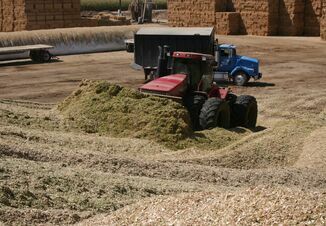 While some of the forage alternatives yielded greater tonnage, they weren’t the best economic choice because of issues with forage fiber digestibility. Annual ryegrass proved to be the best alternative in terms of yield, nutritive value and economic return, says Wells. It was also the most consistent crop to establish itself year after year. “Our work suggests that annual ryegrass is the most reliable and economically viable option to providing early season forage with alfalfa winterkill,” he says. But don’t bother fertilizing annual ryegrass with additional nitrogen, Wells says. Nitrogen in the soil from terminated alfalfa was often sufficient to meet the needs of the new ryegrass crop, and supplemental nitrogen didn’t prove economic. You can read more on the study here.